People scream, yell and cheer as they see it pass: in Santo Domingo in the Dominican Republic, the newest celebrity is the Metro transportation system. 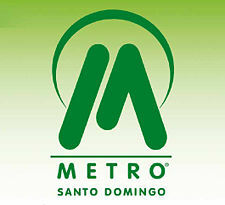 The city is buzzing at the new metro system which starting last Saturday began operating tentatively for testing to bring visitors to and from the Santo Domingo Book Fair [es]. Excited Dominicans have been recording the metro passing by their houses on the different test runs and uploaded videos of themselves walking into the completed metro stations and travelling in train carriages which are so new they still have bubble-wrap on the seats. User noe0324 has uploaded a video that manages to transmit the overwhelming expectation and pride for this massive public transportation method. On the first minute you can hear and see the excitement of the people who standing on their roofs at the side of the metro track, cheer, wave flags and clap as it passes by. The video can be seen by following this link or by viewing it on the embedded video that follows. DJBlastor shows us another view: people standing in line 3 people deep waiting to get aboard the metro cars, and then the people rushing into the cars to see if they can get a seat. He has 3 other videos recorded that same day, with political commentary which seems to be the underlining current of support for the actual president as well as rare footage of people crammed inside a metro car, and most of them cracking brilliant smiles. Supercrackers also recorded last week's calmer entrance into the Metro system, where she travels through the station, down stairs and sits, while watching children and adults happily pop the bubble-wrap between the seats. This is great news for the people of Santo Domingo! It’s great to see how excited everyone seems with the arrival of the Metro. Yeap but all was FAKE make up from the government just for election. they just use that to make some advertising after the election pas they never use the Subway anymore, All was just another trick from Leonel Fernandez Government. The ILUCIONIST thats the new name for President Fernandez how is also a not fare full person.